I played around with another wellknown player which has got two options "crossfeed" and "surround" where Poweramp has one option "stereox". "crossfeed" mixes from the left into the right channel and vice versa to mitigate the effect of headphones where the music isn't produced for such. "surround" mitigates the effect of external speakers that are too close to each other. 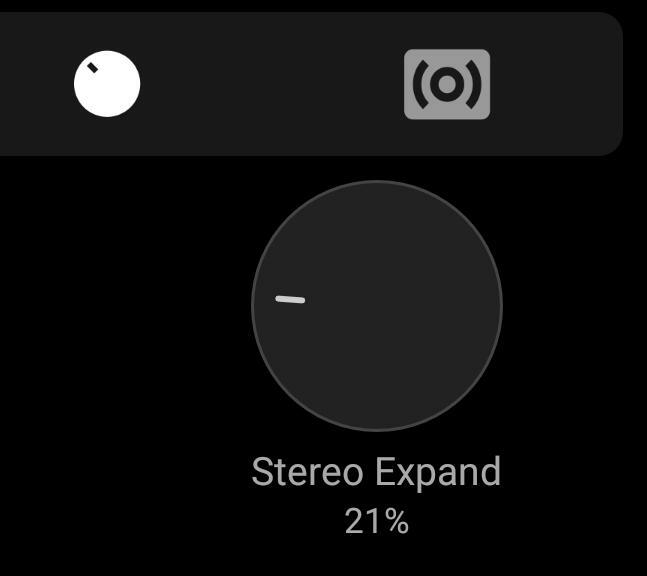 Question : what does Poweramp's stereox in terms of crossfeed and surround ? Is it a bit of both ? Any ideas ? After some tests with crossfeed on Neutron : that is the option to have for listening with headphones. StereoX is what the name suggests : stereo expansion, that is a surround effect. I don't know how it works under the hood, but I'd guess there some phase-inversion going on in the Stereo-X code. Yes, I would think so too. The question is : for what purpose is Stereo-X intended ? 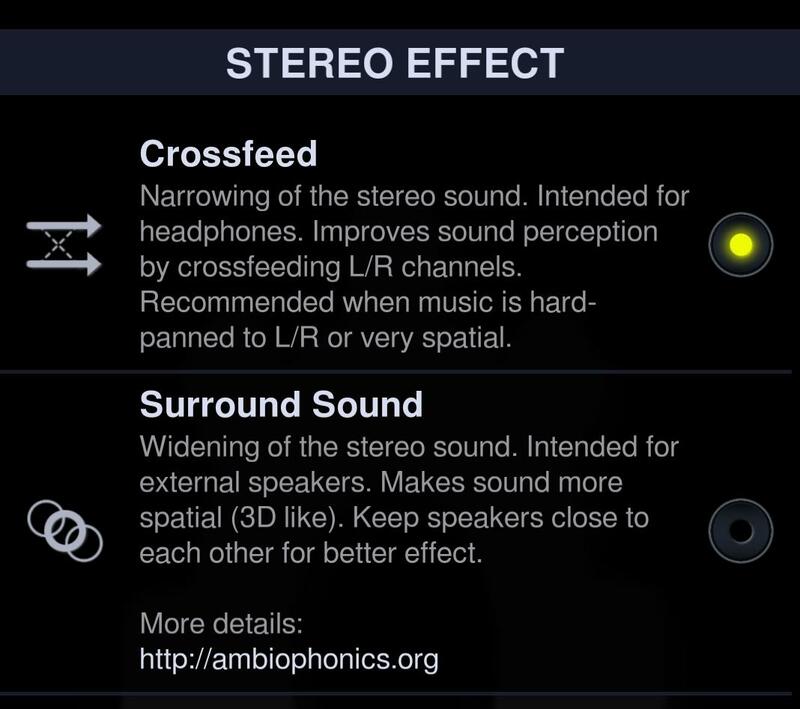 There are descriptions of stereo widening for headphones, e.g. https://www.lifewire.com/headphone-surround-sound-184675 so it could be that Stereo-X wants to achieve a more natural sound for the use with headphones. Does it want to achieve that ?